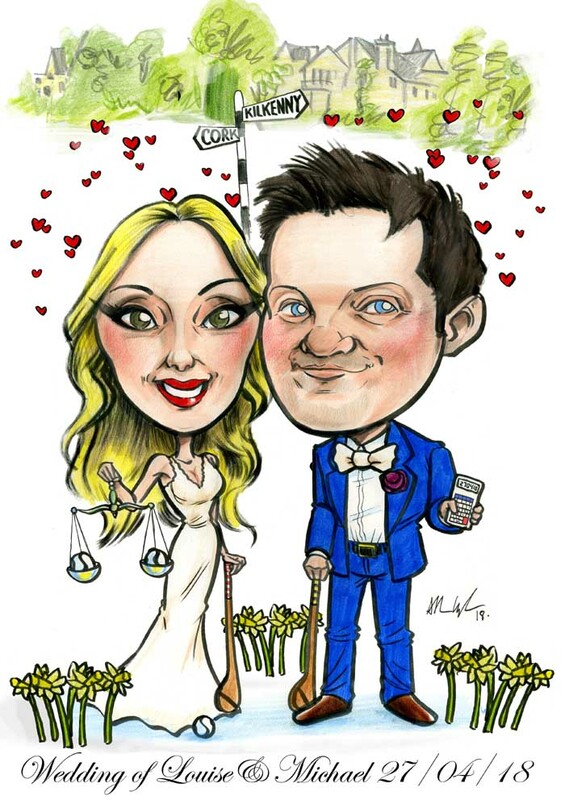 Boyne Hill House Wedding Caricature. Click to see more! 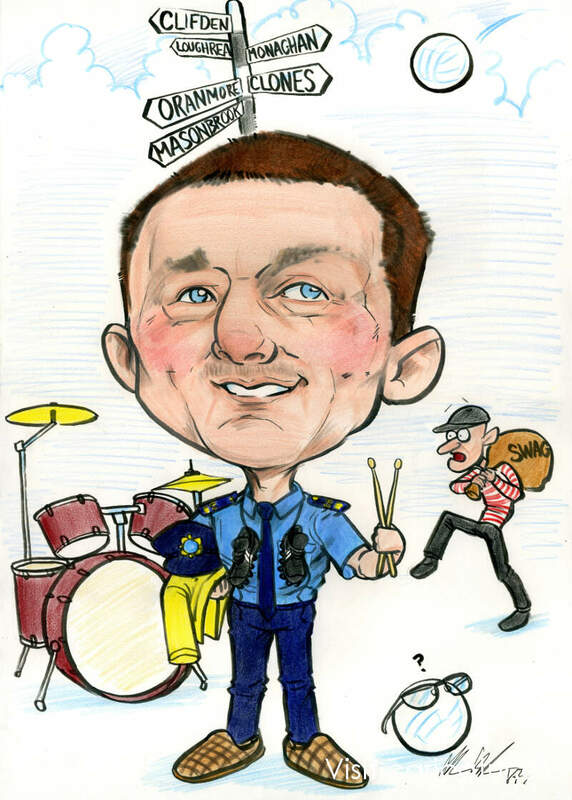 Garda Retirement Present Caricature: this piece was a present to a retiring Garda from his colleagues. 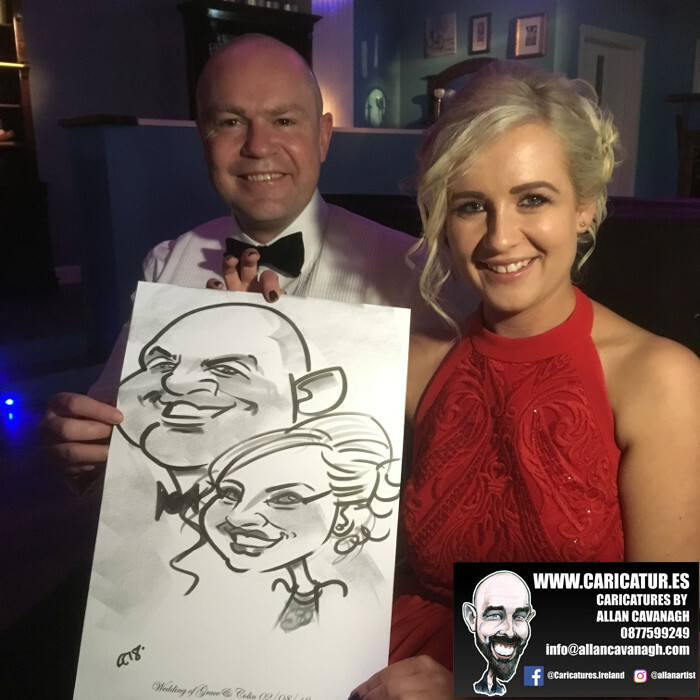 Tralee Wedding Entertainment – Live Wedding Caricature Artist! 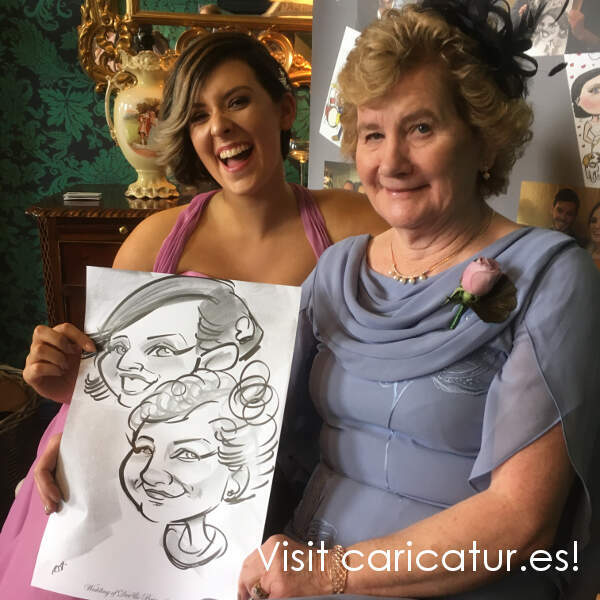 Tralee wedding entertainment in Ballyseede Castle Hotel, Tralee, from December last year. I think I may have been in Ballyseede many moons ago but it was lovely to be there for this Christmas wedding last year. 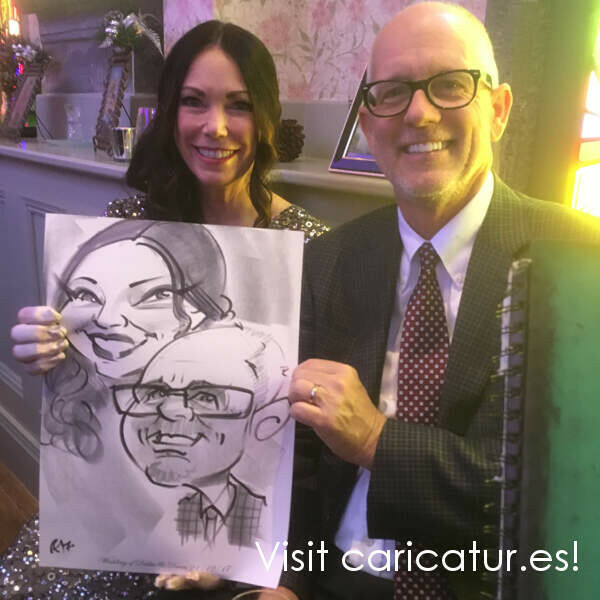 The guests had a great time with me if I may say so myself, lots of laughter! Definitely all me and nothing to do with the mulled wine! I still have 2018 dates available so it’s not too late to check! Drop me a line here.